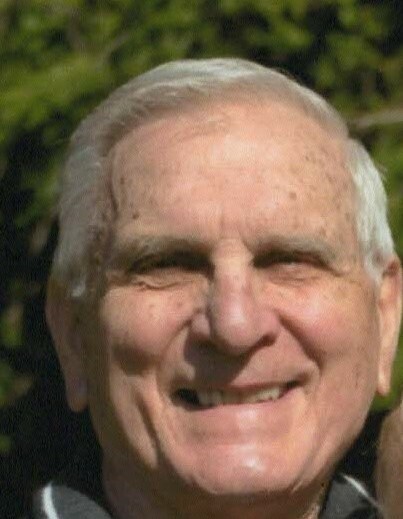 Obituary for Joseph ("Champ") Corsello, Jr. | Frank F. Gigler Funeral Home, Inc.
Joseph “Champ” Corsello, Jr. age 81 of Lower Burrell, passed away peacefully in his home with his family by his side on Tuesday, February 12, 2019. He was born March 4, 1937 in Arnold to the late Joseph Corsello, Sr. and Mary (Turko) Corsello. He was a 1955 Arnold High School graduate. Joseph was a machinist through the years at Alcoa, Gulf Research, & Westinghouse. He enjoyed hunting and fishing in his early years. Later he enjoyed golfing and vacationing in Myrtle Beach with his wife Maggie. But his favorite thing in the world was spending time with his grandchildren and great-grandchildren. He was a coach for a girls softball league and a boys baseball league. His is survived by his beloved wife of 58 years Maggie (Britton) Corsello. He is the loving father of Debbie (Dan) Briscoe of Apollo, Tracey (Larry) Gizzi of Lower Burrell, and son Christopher (Karen) Corsello of Greensburg. He is the dear grandfather of Cody (Bethany) Briscoe, Jesse (Bridget) Briscoe, Nico Sack, Domonic “Duke” Sack, J.T. Jones, Lauren (Vincent) Olivencia, Kayle Corsello. Great Grandfather of Juliet and Clara Briscoe, and Kayden & Kye Olivencia. Family and friends will be received at the Frank F. Gigler Funeral Home, Inc., Robert P. Karish, Supervisor, 2877 Leechburg Road, Lower Burrell, PA 15068 (724) 335-6500 on Friday February 15, 2019 from 2-4 and 6-8 p.m. Services and Burial in Greenwood Memorial Park will be private. Honoring the family wishes for no flowers, the family suggests memorial contributions to be made to a charity of one’s choice.